How much creativity are you required to bring to your job everyday? Whatever your job is I would encourage everyone to think outside the box and bring creativity to your life. However, when you decide you need creativity you automatically put yourself in a box. Stimulating creativity is tough. I have felt the tension and I am sure you have as well. Here are some techniques to change your normal workflow. In several of my techniques I use an example of a church evaluating their kids ministry. Being creative on your own has its place, but often times it is beneficial and simply more fun to collaborate with others. Notice I said the right people. Bring together the right team to help you push through a project or problem. I am thankful to work with super skilled folks at LifeWay Kids, who serve as excellent co-collaborators. Find those people in your life especially at your work and ask them to help you tackle something. 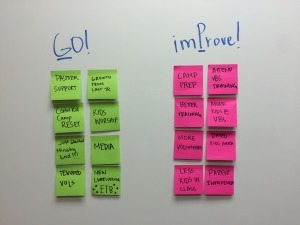 My favorite technique for generating ideas, especially with a group of people is the Post-It method. However you can have people just call out their ideas and you write them down for everyone to see. The whole purpose of this activity is to gather all the ideas. At this point no idea is too crazy and everything can be considered. 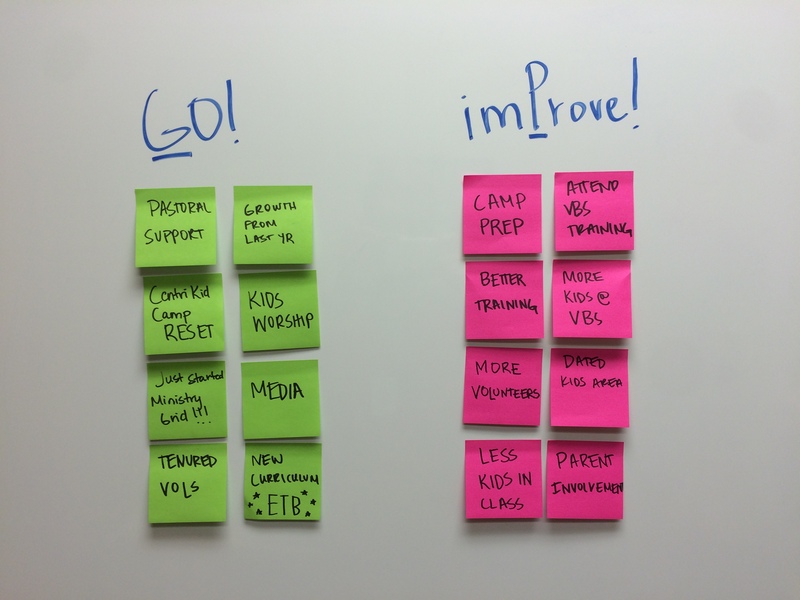 In my example of the evaluation of the kids ministry area I used green Post Its to write things that were Good to Go and pink Post Its to write things for imProving. Here you are defining both sides of the equation. For example some people create borders by creating pro and con lists. Or maybe you are talking about the culture of your kids ministry and you talk about what is in and what is outside the context of your culture. Borders can assist you in generating ideas and honing in on selecting ideas. I love using my white board for work. It helps me think while I draw out relationships. Here are two hypothetical sketches above. Remember sketch means loosely drawn, so it does not take an artist to sketch or make a model, clearly. 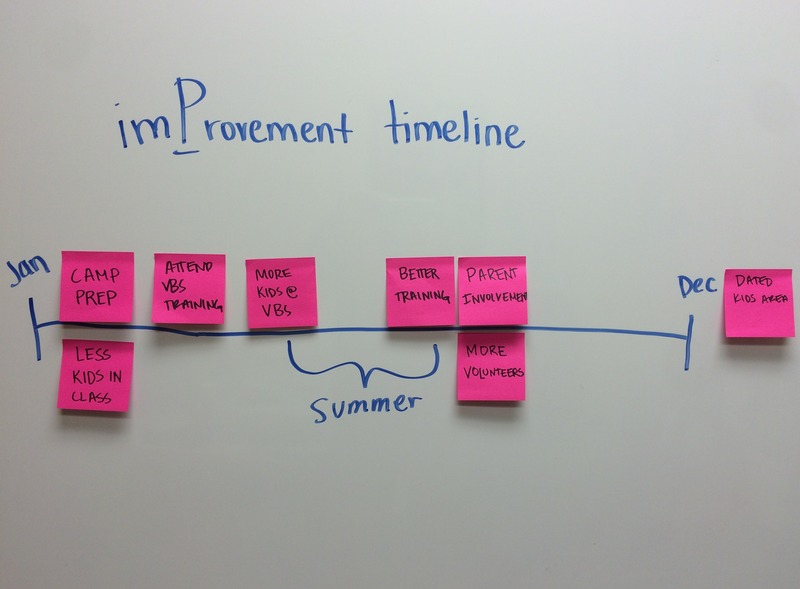 First I made an improvement timeline. I took the pink stickies and placed them on a loose timeline from January to December. This way I can show when I want to work on these projects in relation to big moments in kids ministry like VBS and camp in the summer. The other one is really a sketch. 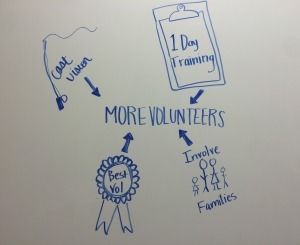 It can be used in a meeting to discuss what the arrows have to be for us to get our goal of more volunteers. The arrows are the action steps. This is one of my favorites to do with almost anything. Metaphoric structure is where you take something and liken it to something entirely different. Take your kids ministry for example, what if it were a restaurant. Who would be the chef, who are your guests, what is on your menu, and what kind of restaurant do you own? Similarly intriguing what if your kids ministry was an airplane, what about a toy trunk, or a profession. These metaphoric structures help you revisit what is familiar to you in a completely different way. It creates a narrative, which helps you tell the story of your kids ministry as though you don’t know what is about to happen. Here you find 5 tools for your toolbox. At the end of the day, just get creative. Solving problems is fun. Have fun with your work and play a little. It could be the catalyst your ministry needs. For ten years I have been serving as a missionary to the South Bronx. In this place, God has worked more than I could dare ask, hope, or imagine. Honestly, He has done just as much in my life as He has done through my life. All that I have learned can be summed up with one word, faith. Faith is trusting that something will happen because of what has already happened. Faith reaches with two hands, one to the past and the other to the future, and informs us what to do now. I write to you today in faith. Looking back, Graffiti 2 can testify to the great things accomplished by God. Countless testimonies abound from ten years of ministry. This vibrant ministry has birthed a church that God is growing as we continue to plant seeds of the gospel while we meet the needs in the Mott Haven community. Check out some videos of this work by visiting our Vimeo channel (vimeo.com/graffiti2ministries). Continuing to strengthen our existing programs to children, teens, and families in the Mott Haven community. Coaching adults to become the best they are capable of becoming through our workforce development program. Growing the kingdom of God by meeting needs, sharing the Gospel, and discipling believers through Graffiti 2 Baptist Church. Beginning other new works in other communities of need across New York City. Providing training in upside Down Kingdom Planting to individuals and churches so they can impact communities of need across the country. Standing in the middle of the past and the future, faithfully I am stepping and asking you to step with me in the present. 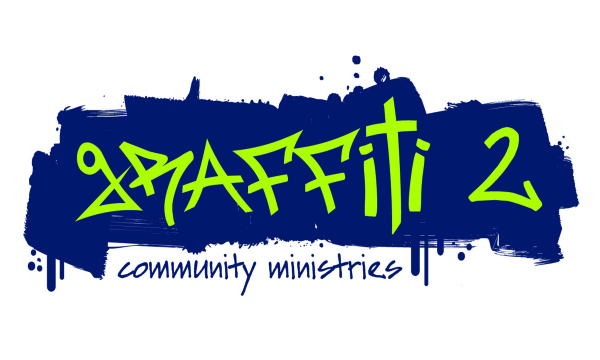 In the coming six months Graffiti 2 is endeavoring to find God’s earthly resources for moving forward with this vision. To many individuals, it may seem impossible. We are endeavoring to raise more money in six months than we have in ten years. In my kingdom, this is impossible. However, in God’s kingdom, all things are possible. To accomplish our goal we will be hosting Catch the Vision events across the country. We also will be coordinating a Week of Giving, May 3-9, 2015. More information can be found about these efforts by visiting our website. Pray for Graffiti 2’s Vision? Give to support Graffiti 2’s Vision? Host a Catch the Vision Event? Rally others by hosting a fundraiser or challenging others to give during our Week of Giving? We know in the end, it is all up to God, but He has worked through you, the family of God, in powerful ways to bless the ministry of Graffiti 2. 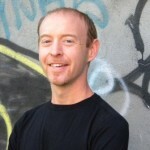 Andrew Mann is the Pastor and Executive Director of Graffiti 2. In February of 2005, Andrew joined the staff of East 7th Baptist Church/Graffiti Community ministries to assist with youth programs and begin preparing for the new ministry plant of Graffiti 2 Community Ministries. 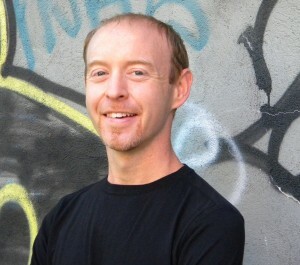 In August of 2005, Andrew moved to Mott Haven and currently oversees the mission, vision, strategy and implementation of Graffiti 2 Community Ministries. CentriKid is proud to partner with Graffti 2 to help kids and communities have a life-changing encounter with Christ. We all have those moments when you realize there are more things to get done than there are hours in the day — feeling one of those right now? If you get that feeling occasionally, its healthy but if you are perpetually feeling overwhelmed or just always running behind, you should consider these tips to be more productive. 1 – Write things down, get them out of your head, and know that you’ll look again at the place where you wrote them down. This tip is credited to a great book about productivity called “Getting Things Done.” Don’t keep everything in your head – you need your head to be free to focus on the task at hand. 2 – Be honest about your calendar. I’ve been guilty of under-estimating the time required for my responsibilities. Don’t let your calendar become a decoration for your office that contains your best intentions. Get real about your pace of completion and the time you are able to spend on projects in a given day or week. 3 – Say “no” to what you need to. To be productive, be sure to only do what ONLY YOU need to do. There may be things you should delegate and there may be things you just need to decline. Don’t pressure yourself to do every single thing that comes across your desk. Sharpen your skills with these tips to be more productive, and you will feel better about the things you are doing and the things you are choosing not to do as well. We love to read in the CentriKid Office. We believe that reading is super important for leadership and personal growth. In fact, we are going through a book together to develop our leadership skills. In addition to that book, we each have our own books that we are reading, talking about with each other, and sharing with our friends. Check out the books we are reading to maybe find the next book you want to pick up! I’m currently reading Creativity Inc: Overcoming the Unseen Forces That Stand in the Way of True Inspiration by Ed Catmull, the President of Pixar and Disney Animation. I originally bought this book for one of my friends a few months ago, and eventually bought myself a copy. 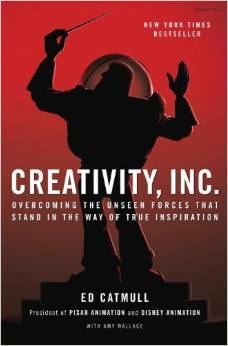 Catmull-who leads one of the most successful and creative businesses of today- explains how he leads his company by inspiring creativity. I love creativity, and I love how Catmull has challenged his team to take risks, think outside of the box, and be the best that they can be. JE is currently reading Paperless by David Sparks. 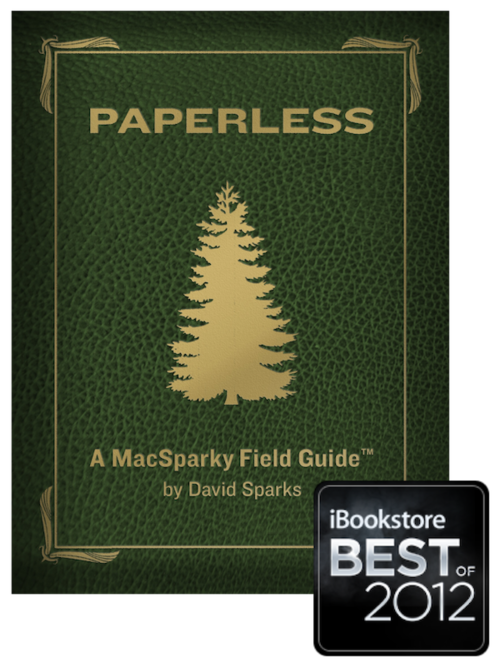 It’s an e-book that takes advantage of the iBooks author tools with great page layouts, interactive screenshots, embedded screencasts, and videos. It is something that is an interest to him both personally and professionally– how to reduce the amount of paper filled away in his work and home life. 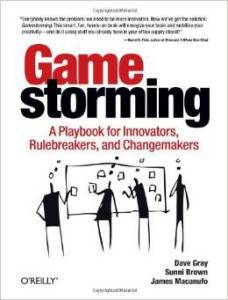 Collin is currently reading Game Storming, and here’s what he has to say about it: “Game Storming was lent to me by JE back in September (I think he forgot I still have it, sorry JE). The premise of the book is to learn the philosophy behind effective brainstorming and creating games, and how to translate basic principles into your context. It gives a lot of tools to inspire creativity and navigate processes with a team. This can be particularly fun if you love games, as I do. The last 3 quarters of the book give over 50 different games to use during your creative process. It can stand alone as a good reference tool. This book can challenge leaders in how they lead meetings and organizational development. Check it out! Also, I am almost done with it JE! Isaac is reading Aha! by Kyle Idleman. 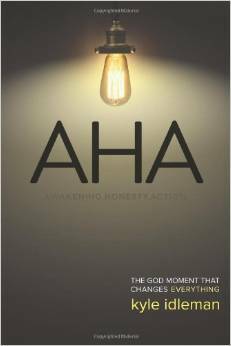 “This book talks about the moments that transform your life and bring you closer to God. I have just begun reading it but the idea that our life needs these moments where we refocus and really see God in a deeper way has been great to study. I am only in the first part of this book that deals with the Awakening that we need in our life but I have enjoyed beginning to understand what I need to look at in my life to grow closer to Christ.” Isaac does not want to admit it on the blog, but he is also deep into reading Star Wars novels and listening to those audiobooks currently. Don’t tell him I told you that. So what are you reading? 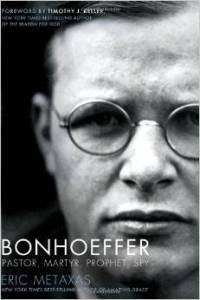 Check out JE’s Leadership Reading Plan, and the Essential Camp Leadership Reading List to get some other ideas of great books and what you should look for when picking out your next book. As an office team we have been reading through John Maxwell’s “The 21 Irrefutable Laws of Leadership.” It has created some interesting conversations and allowed us to evaluate where we are as leaders, and develop our leadership abilities further. From topics of influence, respect, intuition, and connection, here are some of the topics that really resonated with me as we have read through this book. The way that you know that you are a leader is if people listen to you. Influence is so important in leadership. Maxwell mentions a leadership proverb that says “he who thinks he leads, but has no followers, is only taking a walk.” You have to invest and believe in your followers. They have to buy into your vision and want to help you make that vision a reality. Leadership is about the people that you lead. Making people feel valued will always be priority for me as a leader. If your followers do not trust you as a leader or they do not believe that you value them, pretty soon you will just be taking a walk. I really resonated with this line from Maxwell, “I believe the bottom line in leadership isn’t how far we advance ourselves but but how far we advance others.” It is vital to take time to get to know the people that you lead and make sure that you are helping them to reach their potential. Maxwell notes, “Mature leaders listen, learn, and then lead.”. It is a joy to work with some of the best leaders that I know on the CentriKid team. And we are continually looking for ways to lead better. It is vital to any type of leader to keep growing, “leadership is developed daily, not in a day.” There is always more to learn about leadership and more to learn about the people that you lead.